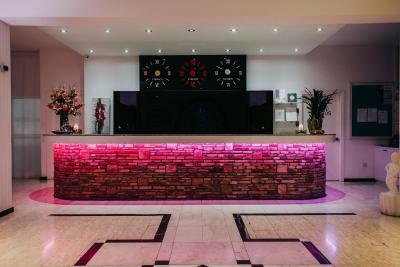 Lock in a great price for Sveltos Hotel - rated 8.4 by recent guests. Good location, easy to find, relaxed. Clean and simple. Friendly front desk. Great staff. Welcoming and are there to attend to your needs. 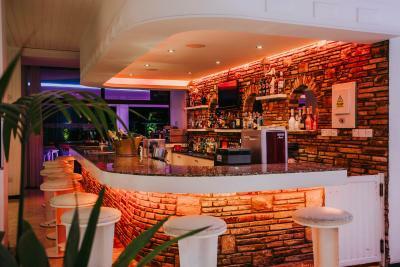 Comfortable and pleasant bar area, friendly and helpful staff. 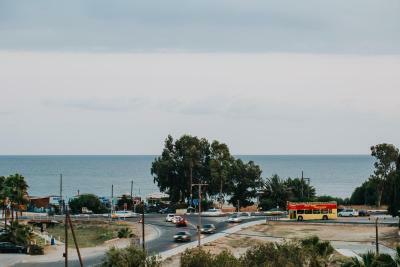 Good location for travelling out of Larnaca. Staff was very friendly! Fast service! Delicious breakfast! 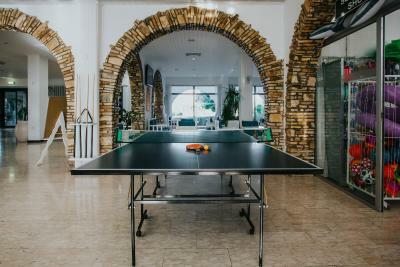 We used ping pong facilities and the basketball area! We had fun! Room was very clean! Shower and wc was clean as well! 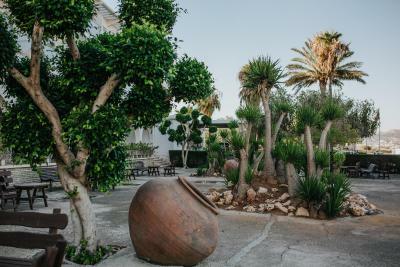 We decided to stay at Sveltos Hotel for our last night in Cyprus and we were not disappointed. The woman at the reception was very friendly, as was the man behind the bar. The hotel was the perfect place to relax for our last night. Playing some table tennis, enjoying our wine in front of the fire,... The beds were very comfortable and the badroom was clean. The breakfast was delicious. I would absolutely recommend this hotel! Breakfast. Wesley, Mariana, Diana and the older guy with glasses were all very accommodating. A+ class customer service. Easy to get to from motorway, food was of a high standard. 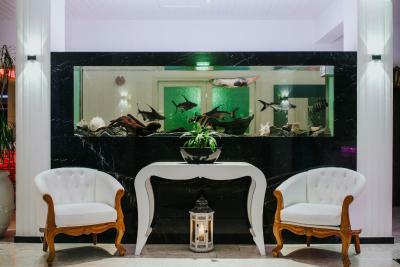 all staff were very courteous throughout our stay. Location was good.. staff friendly especially hotel manager. Good value for money. The hotel it's really nice, large rooms, very clean. Restaurants, bars nearby. Beach just crossing the street. Bus station nearby. 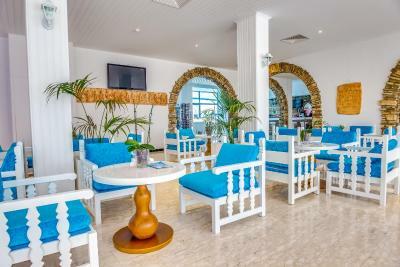 One of our top picks in Larnaka.Sveltos Hotel is located in Larnaca, 200 yards from the beach, and features a pool with a furnished sun terrace. 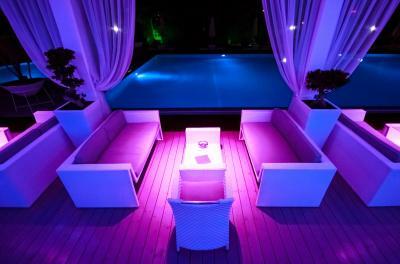 It offers free Wi-Fi in public areas and rooms with balconies enjoying pool or inland views. All renovated, air-conditioned rooms are equipped with a satellite TV. A hairdryer is included in the bathroom. A fridge is also available at an extra charge. 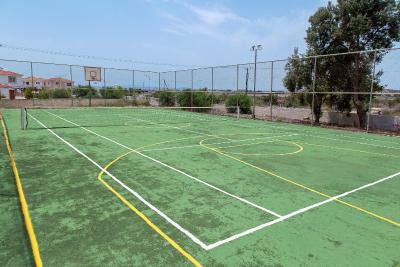 Leisure and sports facilities include a tennis and a basketball court. 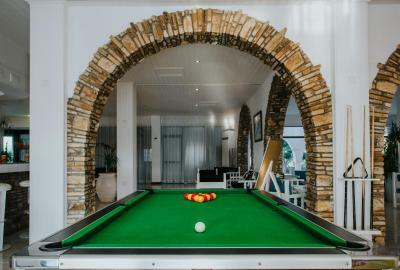 There is also a games room with pool table and darts. Children enjoy their own pool and playground. 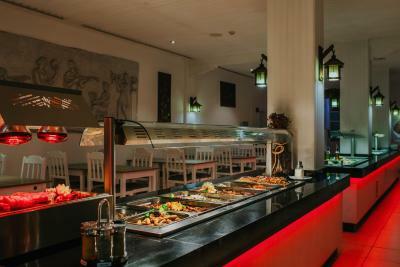 Breakfast is included and served at "Fanari" restaurant. 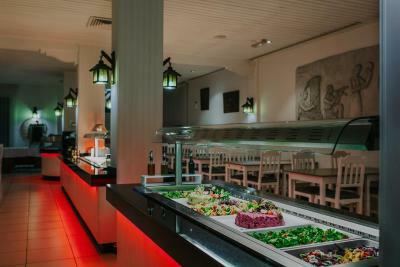 The poolside bar-restaurant serves cocktails and traditional Cypriot and international cuisine. Theme nights with BBQ and music are often hosted. The 24-hour multilingual staff can offer information about the area. Larnaca International Airport is 6.2 miles away. Hotel Sveltos is 4.3 miles from the town centre. Free parking is provided on site. Sveltos Hotel has been welcoming Booking.com guests since 28 Apr 2011. When would you like to stay at Sveltos Hotel? This air-conditioned room is equipped with satellite TV. The bathroom includes a hairdryer. A fridge is available upon request with surcharge. Offering inland views, this air-conditioned room is equipped with a 32' satellite TV. The bathroom includes a hairdryer. A fridge is available upon request with surcharge. Offering pool views, this air-conditioned room is equipped with a 32'' satellite TV. The bathroom includes a hairdryer. A fridge is available upon request with surcharge. This twin room has a balcony, seating area and tile/marble floor. House rules Sveltos Hotel takes special requests - add in the next step! Sveltos Hotel accepts these cards and reserves the right to temporarily hold an amount prior to arrival. Towels are way too worn out. Maybe it’s time to change them. 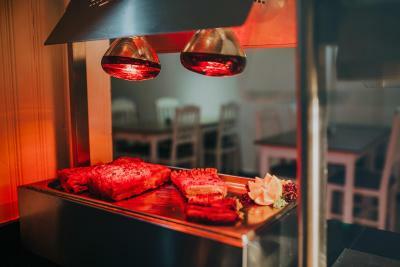 And as for the bathroom ventilation, whatever is cooked in the kitchen was in the bathroom. Probably needs fixing. The bed was not properly dressed. I booked half board and dinner was served from 7pm and most days had to wait at least 1&half hours before the meal meaning you would eat just before 9pm and personally that’s a bit late for me to be having my evening meal. The property advertised that it had a pool, but when we arrived we found that the pool was empty. Convenient on site parking, a short walk to the beach and a nice range of food provided at breakfast. Good breakfast. 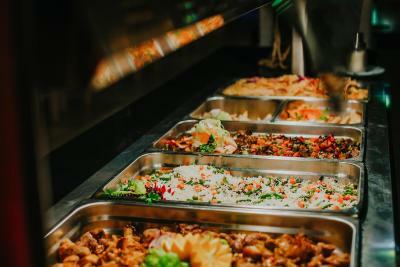 Enough food choice. In the city there were no signs in English. I do not understand your language. So it was difficult for us to find the old city in Nicosia. The people were very friendly and helpful. The weather was beautiful. The food plentiful and good. We were the only ones on an all inclusive basis in the hotel - we didn't really get value for money for this as due to the time of year there was nothing to do in the hotel throughout the day. We were advised that the hotel did not take all inclusive bookings normally for the time we were there, it was only because of the time when we actually booked it that the offer of AI was available - if we would have booked later then it wouldn't have been available. We were away from the hotel everyday meaning that we were spending extra on top of what we had budgeted for. The food was ok at best - if we ate on an evening at 7pm it was hot, anytime after that then it became limited and warm at best. We were recommended to use this hotel as we were told the breakfasts were very good. We booked an evening meal on the strength of it, the food was bland, hardly any variety, the only sweet on offer was jelly or a piece of fruit. The rooms were adequate & the bed was comfortable. It was good to be able to select the room temperature as it is the cooler season. No decorative coverings on the bed. The rooms were very basic to be called superior. Rooms get cold quickly after turning off the heating and would benefit from internal insulation to retain the heat in the winter. This would also be beneficial for the hotel’s overheads and the environment. The fact there is no bath tub made it difficult to wash a small child without him screaming. My back is killing me. Floor become wet easily with a child and become dangerously slippery. Car park has a deep hole filled with water this is a potential health and safety risk for small children. There was a horrible smell of animal urine in the vicinity of the hotel. Possible stagnant water. I would stay there again if I had to, but it wouldn’t be a first choice. Breakfast might have been better if it had more vegetables. Close to highway, friendly staff, clean.